Vinay Joshi is a member of the California Bar and has practiced patent law in the Silicon Valley since 1999. Super Lawyers has consistently named Vinay as a “Northern California Super Lawyer” in intellectual property litigation since 2014. Prior to joining the firm in 2009, Vinay practiced patent litigation at Howrey LLP for many years. Prior to attending law school, Vinay worked as an electrical engineer at the Ford Motor Company. In patent litigation matters, Vinay serves as the lead counsel for his clients and has extensive trial experience in California, Texas, Utah, Virginia and at the USITC. Vinay believes that a small team of motivated lawyers has an advantage over larger teams, in complex patent litigation. In patent procurement matters, Vinay has created many patent portfolios from scratch and routinely manages and prosecutes large portfolios. Vinay and his team have also prepared many inter partes review petitions and effectively used them to avoid or settle litigation. Notably, Vinay and his team prepared and filed an IPR petition for US Patent No. 6,034,419 (titled “Semiconductor Device with a Tungsten Contact”), which had been asserted against a firm client at the USITC. The USITC case had foundry wide implications because Tungsten contacts are commonly used in semiconductor devices. The PTAB Judges held that all the claims of the ‘419 patent were preliminarily invalidated by multiple prior art references, and instituted the trial accordingly. The USITC case settled shortly after the PTAB ruling. 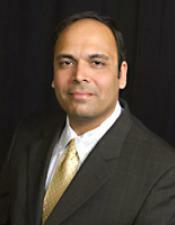 Here is what one client has to say about Vinay: “We hired Vinay as our outside counsel in 2009. Over the years, Vinay has served as a trusted adviser and a steady hand for the company, even as other in-house and outside counsel came and went. I credit Vinay with helping create our excellent patent portfolio, which now includes hundreds of patents and patent applications. He has also served as our lead counsel in numerous litigation matters. He is always well prepared, humble and friendly, even with opponents. He does not engage in verbal duals and instead effectively uses solid preparation and cordial communication to get people to see things his way. Vinay will continue to be our go to lawyer for intellectual property matters.” Behrooz Abdi (CEO of InvenSense) (January 2017). Vinay has a sound understanding of technology and engineering culture, and is frequently invited to conduct asset valuation, forward patenting, patent strategy and inventions harvesting sessions with engineers and marketing and management executives. Technology areas in which Vinay regularly practices include hardware, software, analog and digital circuitry, mixed signal circuitry, semiconductors, human machine interaction, medical devices, MEMS, optics, integrated circuits and others.